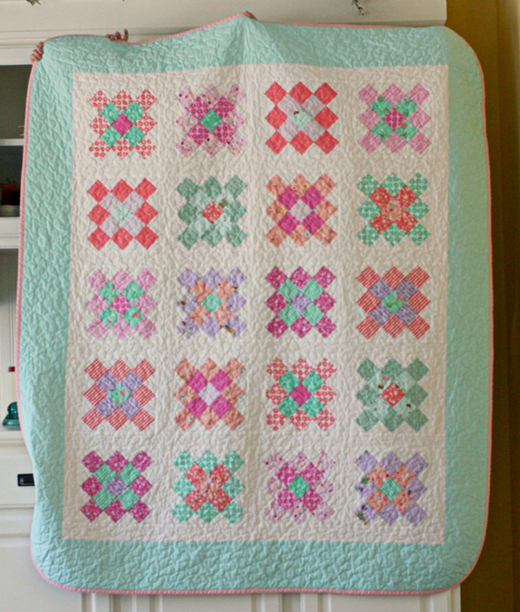 This Granny Square Quilt designed by Jolene Klassen of Blue Elephant Stitches for Modabakeshop, The Tutorial is available for free. "Here is a revised version using a jelly roll which makes it go so fast! I tried to write this tutorial in a way that made the best use of strips, yet still gave a scrappy look, since you don’t want all your blocks to look the same. When you use this method, you will have two blocks of each color set."